From Plato through today, this compact and portable literary anthology helps you learn literary theory and criticism. 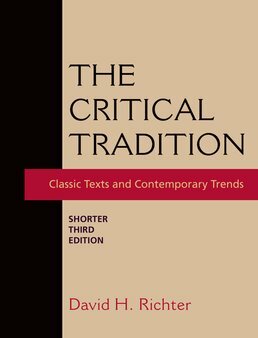 Critical Tradition: Shorter Edition is an affordable collection of major documents, chronologically arranged, which familiarizes you with the broad range of literary criticism. King Lear and Harsnett's "Devil-Fiction"
David H. Richter (PhD, University of Chicago) is professor and director of graduate studies in the English Department at Queens College and professor of English at the Graduate Center of the City University of New York. Richter publishes in the fields of narrative theory and eighteenth-century literature. Recent titles include The Progress of Romance: Literary Historiography and the Gothic Novel (1996); Ideology and Form in Eighteenth-Century Literature (1999); and The Critical Tradition (Bedford/St. 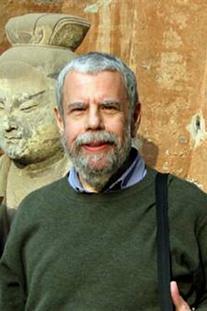 Martin's, 1998), and he is currently at work on two critical books: a cultural history of true crime fiction and an analysis of difficulty in biblical narrative. A shorter version of the “indispensable anthology for introducing a new generation of students” to literary criticism and theory.